Financial Frenemy • (fəˈnanCHəl frenəmi): One who sabotages your financial budget by causing you to purchase high end items you don’t really need, but convinces you that you literally cannot live without them. Hourglass Radiant Bronze Light bronzer, Hourglass Diffused Heat blush, Becca Champagne Pop, MAC Tan pigment, Marc Jacobs Undercover Perfecting Coconut Primer. If you’re reading this… you’re probably a makeup junkie like me. That’s also why I’m here: to feed your makeup spending habits. The first product I think you really need is the Hourglass bronzer. I have the Radiant Bronze Light bronzer because I have a medium tan complexion. However, if you’re lighter than I am then I suggest getting the Luminous Bronze Light, which is for lighter skin tones. This bronzer blends out beautifully because it’s so smooth and adds radiance and luminosity to the skin. 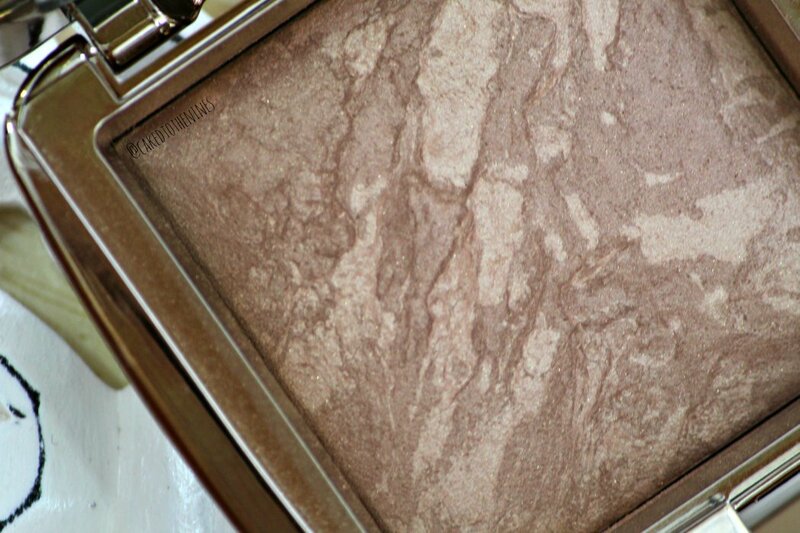 I’ve done a full review on the Hourglass Radiant Bronze Light bronzer with swatches. Another Hourglass product I believe is a must have is one of their blushes. I really love Diffused Heat, and I think it’s a must have, but they have so many different shades that are all gorgeous. Diffused Heat is a poppy pink shade and is also very luminous and radiant. The texture of this is very smooth and blends effortlessly. These powders don’t contain talc, which can irritate your skin if it’s super sensitive, so even if you have sensitive skin these won’t irritate it. 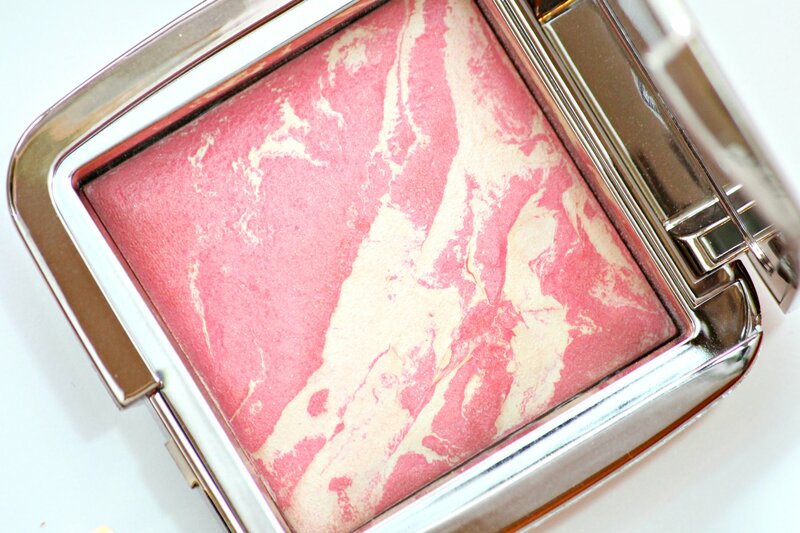 I’ve also done a full review on the Hourglass Diffused Heat blush with swatches. Becca cosmetics has changed the highlighting game, and again blew everyone away when they decided to collaborate with Jaclyn Hill and release Champagne Pop. 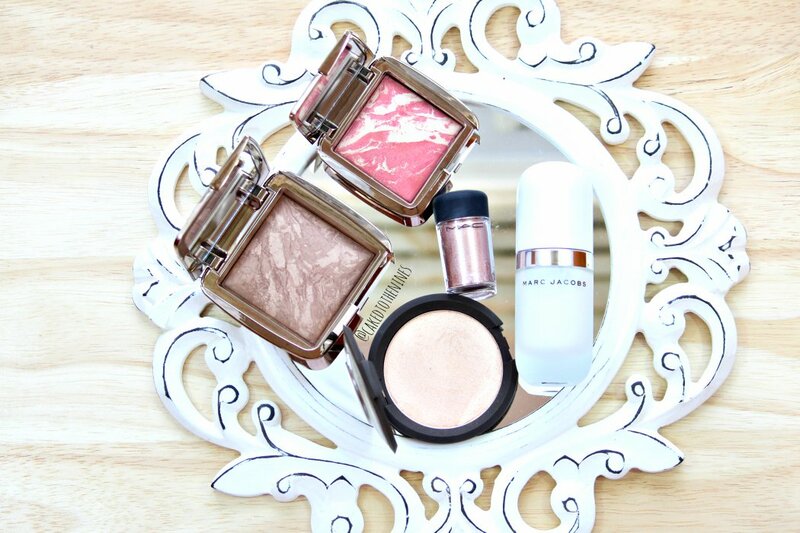 Champagne Pop is a peachy light white gold shade that suits fair and deep skin tones. These are extremely pigmented, creamy and soft, just like the other Becca Shimmering Skin Perfectors– I’ve done a full review with swatches on Becca Opal, Rose Gold, and Champagne Gold. If you’re in need of a hydrating primer that blurs out pores a bit and makes your skin look naturally radiant and glowy without shimmer, you need the Marc Jacobs Undercover Perfecting Coconut Face Primer. It’s pricey, but it’s worth the money in my opinion and has quickly taken the spot of my number one primer. If you forget to moisturize sometimes, like I do, this is even better because it acts also as a moisturizer due to the coconut ingredients it contains; it hydrates your skin without feeling or looking greasy. 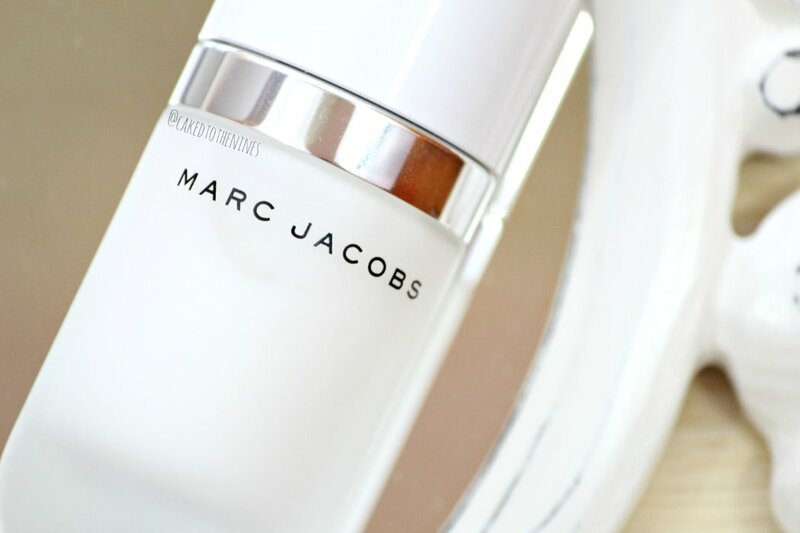 You can read my full review on the Marc Jacobs Undercover Perfecting Coconut Face Primer here. 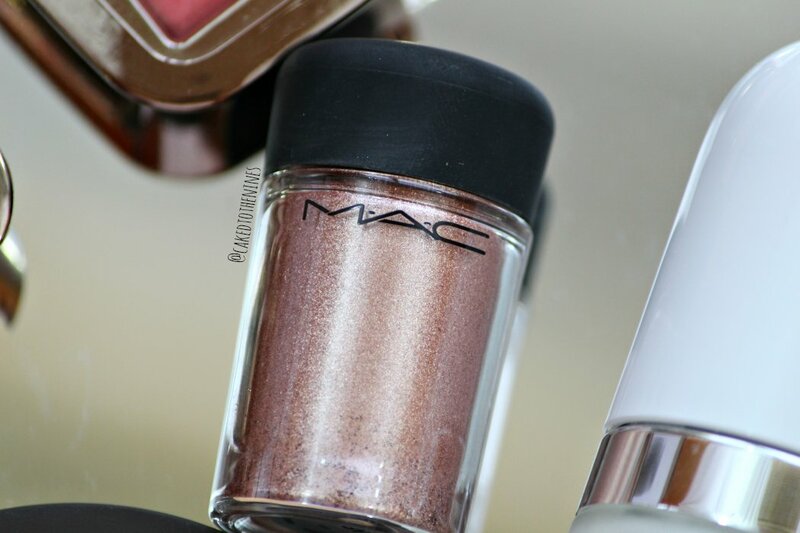 The last must have product is MAC’s Tan pigment. It’s a warm toned rosy brown shade with a frost finish and champagne shimmer running through it. It’s such a beautiful shade that you can use all over your eyelids either dry or wet. It’s very shimmery and sparkly so if you’re a fan of sparkly eyeshadow then I suggest getting this pigment. It’s intense both dry and wet, but when you spray some fix plus on it, the sheen/shine is even more heavenly and intense. If you’re going to pick up one MAC pigment, I would suggest this one since it’s so versatile and looks amazing on every skin tone. 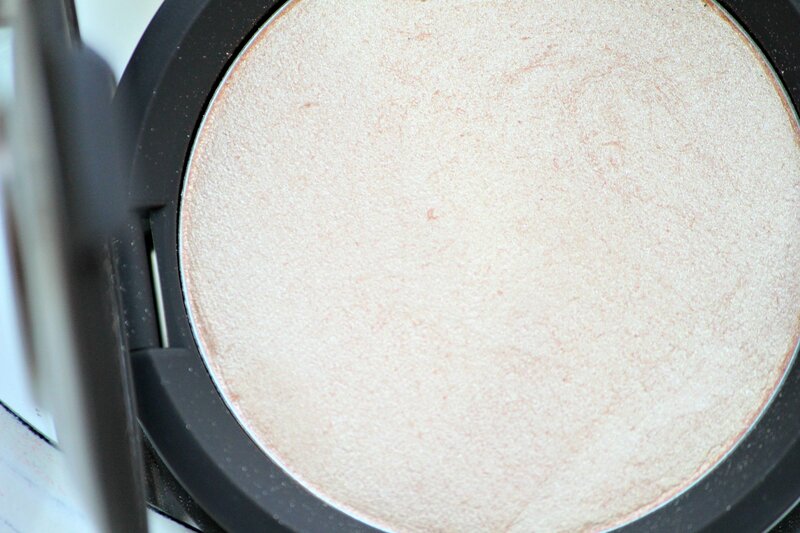 If you have a deep skin tone, this would look gorgeous as a highlighter! What are your favorite high end makeup products at the moment? Let me know in the comments below!